Anyhow if you’re looking for a delicious fruit dessert, suitable for your family or even to serve to company, this might just be the one! 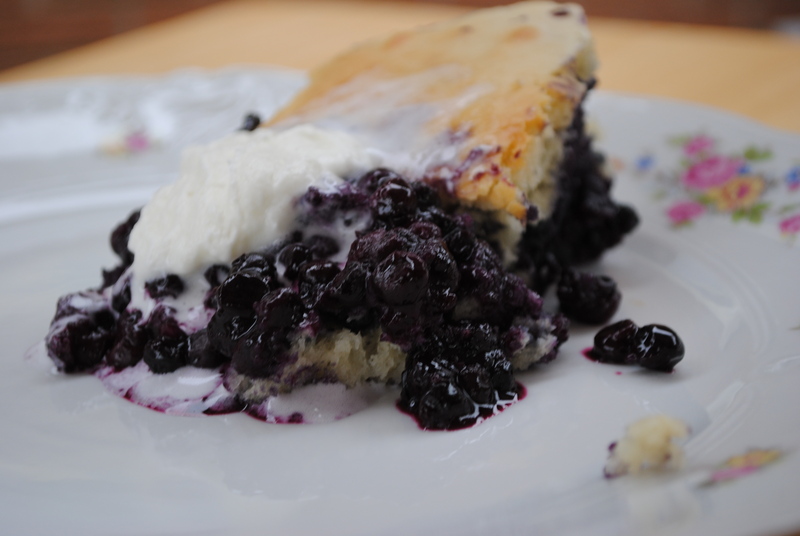 Preheat oven to 350 degrees F. Arrange the blueberries in the bottom of a casserole dish and sprinkle 2/3 cup sugar (or slightly less to taste) over the blueberries. Cream together the shortening, 1/2 cup sugar, and egg. Add the milk, flour, baking powder, and salt. Beat until combined. Pour on top of the blueberries. Bake in preheated oven until golden brown about 40 minutes. Children enjoy this served with ice cream.